An open source python package for simulation and gradient based parameter estimation in geophysical applications. Contribute to a growing community of geoscientists building an open foundation for geophysics. SimPEG provides a collection of geophysical simulation and inversion tools that are built in a consistent framework. Finite volume tools that work across many different discretizations and dimensions. Simulate your geophysical method in 1D, 2D, 2.5D, 3D and through time. 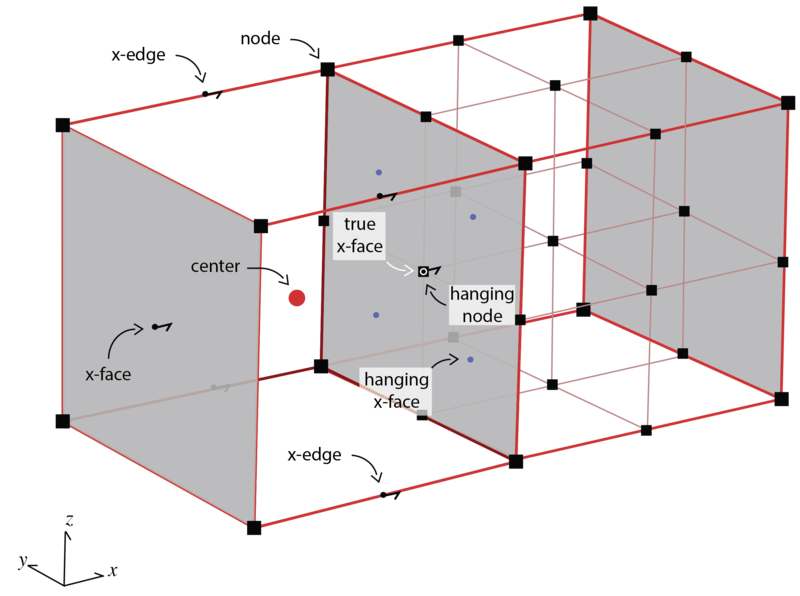 Refine around areas of interest using an OcTree. The SimPEG inversion framework is modular, allowing you to explore, experiment and iterate over a variety of approaches to the inverse problem. The easiest way to install SimPEG is from PyPI, using pip. If you get stuck or have no idea what a pip is, jump on Slack or Google Groups to ask the community a question!! Please don't hesitate to reach out and ask a question! We love to hear about how people are using or want to use SimPEG! Contact us on GitHub by creating a new issue. Talk about SimPEG, share links on social media, show our logo in your talks. Cockett, Rowan, Seogi Kang, Lindsey J. Heagy, Adam Pidlisecky, and Douglas W. Oldenburg. 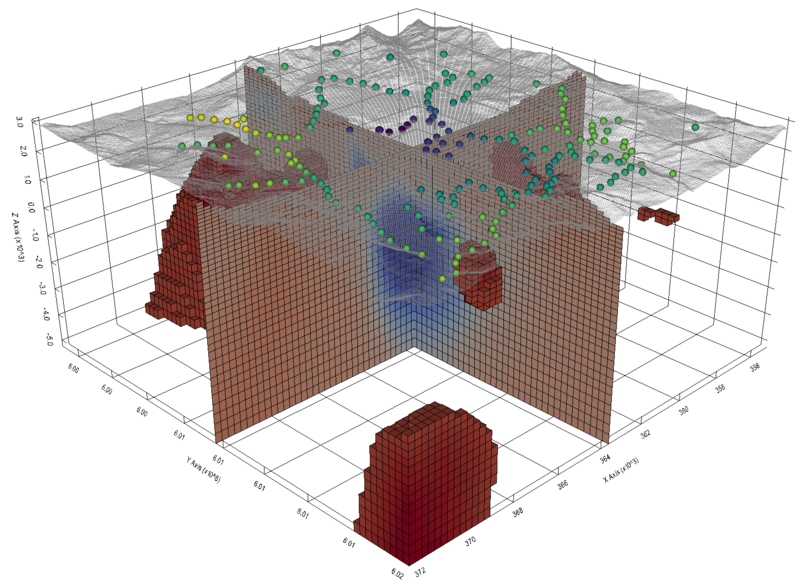 "SimPEG: An Open Source Framework for Simulation and Gradient Based Parameter Estimation in Geophysical Applications" Computers & Geosciences, September 2015. doi:10.1016/j.cageo.2015.09.015. SimPEG is an ecosystem with many interrelated projects and repositories. Simulation and inversion utilities for many different geophysical methods. Finite volume and visualization programs for solving and inverting PDEs. 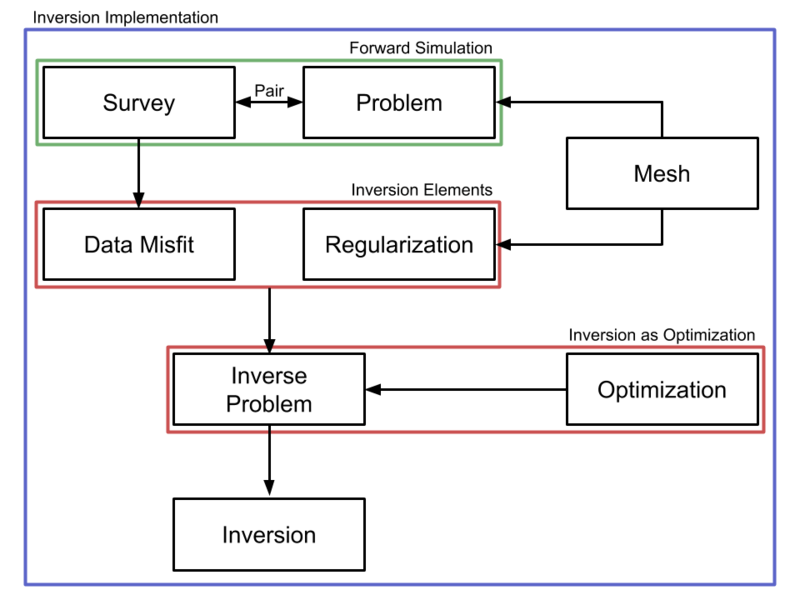 A sparse matrix solver for Python. Solving Ax = b should be easy. A collection of mostly analytic functions in geophysics.